Check out the amplify Summer 2018 Issue in your web browser! 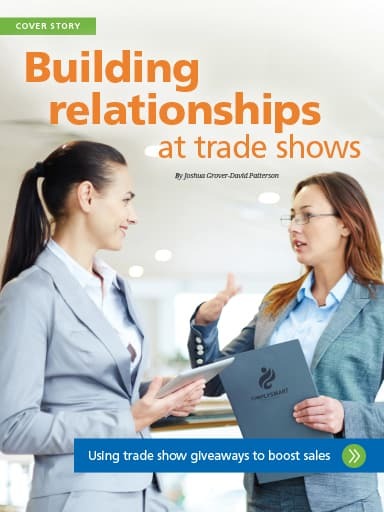 Trade show giveaways can attract people to your booth, generate conversations, and so much more! Click here for ideas. There’s plenty of time to enjoy the great outdoors with these imprinted sunglasses and branded headwear. 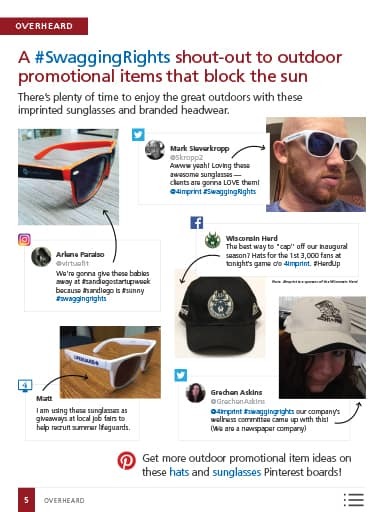 Click here to see what outdoor promotional items got a shout-out online. 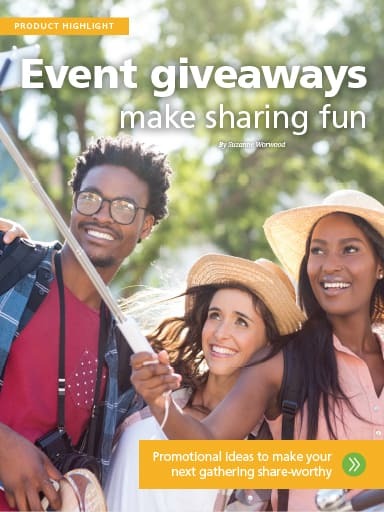 These promotional ideas will help you make your next gathering extra share-worthy. Click here for ideas. Discover how Prime Beauty Studio and E. J. 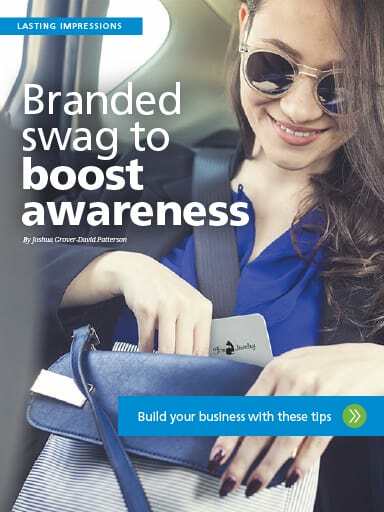 Ward used logo’d lanyards and mirrors to boost their brand recognition and build their businesses. Click here to learn more. 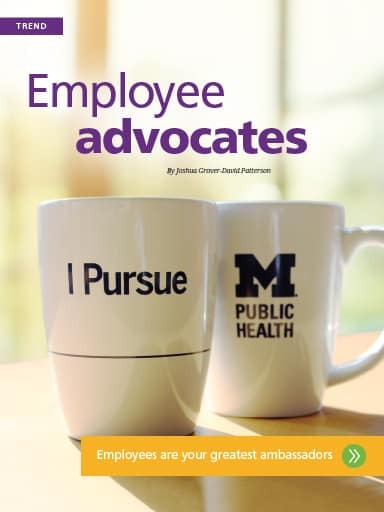 Read how employee engagement, some branded coffee mugs and the words “I pursue” helped a university to solidify their brand—and how you can do the same! Click here to see how employees can be your greatest ambassadors. 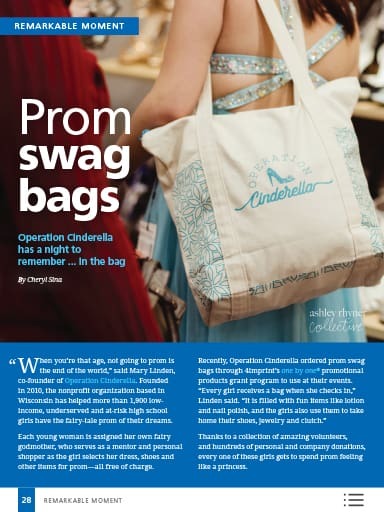 Learn how Operation Cinderella gives at-risk girls the prom of their fairytale dreams, using free dresses and prom swag bags. Click here to find out more.